It’s likely that every time you leave your house your dog thinks you’re going for a walk or to the park without him. Every. Single. Time. The truth is that most days it’s raining or dark and you’re just going to work, but he doesn’t know that. The good news is that summer is coming and now’s your time to make it up to him. Get out of the house, even if it’s just into the backyard, and have some fun. Just remember these tips to keep your pet healthy this summer. First off, don’t leave your pets in the car. In spite of increased awareness around this issue, hot-car deaths are still a big problem. According to the American Veterinary Medical Association, temperatures can rise 20 degrees in 10 minutes. It can increase by 30 degrees in 20 minutes, and after about an hour, it can be 110 inside your car. Every year hundreds of pets die from heat exhaustion. Watch for signs of overheating – heavy panting, heavy drooling, trouble breathing, rapid heartbeat, dark red gums or tongue, dizziness, weakness, agitation. If you see these signs, do your best to help your pet cool off by giving them water, taking them inside, or setting up a kiddie pool. You could also try freezing a plastic bottle filled with water and leaving it in your pet’s favorite spot, putting a fan near their bed, or petting them with a cool, wet washcloth. Make sure your pet has plenty of water, food and shade. Ice cubes in the water, or frozen chicken or beef broth can encourage your pet to drink more fluids if they’re dehydrated. Giving your pet smaller and more frequent meals or placing more water bowls around the house may bring them to the bowl more often. If your cat is attracted to running water, consider letting your faucet drip or buying a cat water fountain. Protect your dog’s paws. When walking, try to stay off dark pavement and surfaces that are likely to burn your pet’s paws. It might make sense to walk them on the grass or to walk in the morning or evening hours when it’s not as hot. Even if the pavement feels cool enough, be aware of how long their paws are exposed. You can purchase protective booties, but give your dog time to adjust to the new footwear at home otherwise they may refuse to walk. Check your pet for fleas and ticks. Talk to your vet about using preventative monthly medications – either topical or oral. 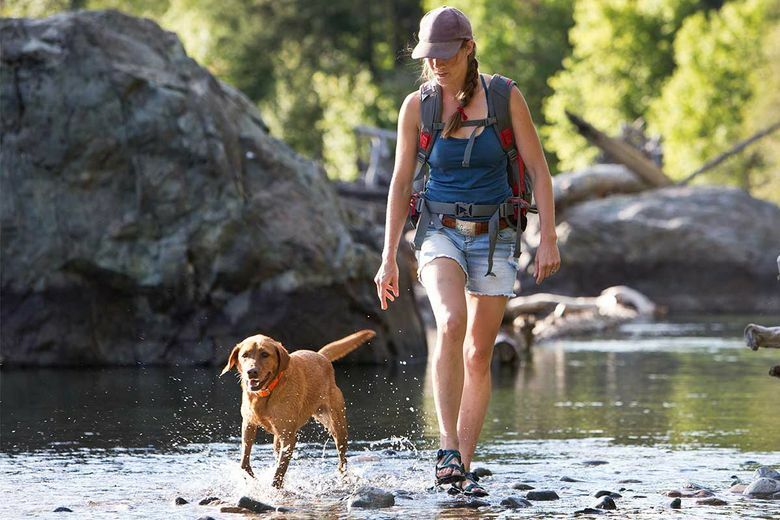 Inspect your dog for ticks after they’ve been outside – especially if you’re hiking or in Eastern Washington. If you find a tick, do your best to remove it (including the head), and call your vet to determine if any other actions are necessary. So, tell your dog to stop looking at you with those sad eyes. It’s summer and that means more time outside together. You’re going to make sure he’s healthy and happy and this time he’s coming with you to the park. Oh, happy day! Bartell Drugs’ team of health care professionals are here to help you and your pets live a PNW summer to the fullest. Speak to a pharmacist about the right medicine to fit you or your pet’s symptoms, and ask about filling your pets’ prescriptions through their Pet Meds program.